British Prime Minister Theresa May is traveling to South Africa, Nigeria and Kenya this week on her first African tour to “deepen and strengthen” partnerships as the UK prepares to leave the EU in 2019. The trip “comes at a time of enormous change across Africa with a unique opportunity, as the UK moves towards Brexit, for a truly Global Britain to invest in and work alongside African nations, with mutual benefits,” Downing Street said in a statement. The trip will focus on a renewed partnership between the UK and Africa, and will seek to “maximize shared opportunities and tackle common challenges,” the statement said. The Prime Minister will be accompanied by a 29-strong business delegation as part of a trade mission aimed at boosting post-Brexit fortunes. Security will also feature high on her agenda, with the threat of Boko Haram in West Africa and Al-Shabaab in Somalia and Kenya. Theresa May is expected in South Africa’s legislative capital Cape Town this Tuesday. She will meet young people, before delivering a keynote speech on trade and how UK private sector investment can be brought into Africa. After a bilateral meeting with South African President Cyril Ramaphosa, the PM is also expected to visit Robben Island, where Nelson Mandela was imprisoned. On Wednesday, Mrs. May will meet President Muhammadu Buhari in the Nigerian capital Abuja, just four months after they held talks in London. The Premier will later travel to Lagos on Wednesday evening to meet victims of modern slavery. 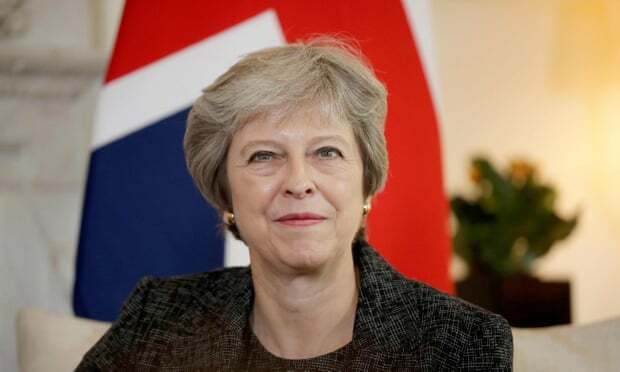 Mrs. May is also expected to meet Kenyan President Uhuru Kenyatta on Thursday before visiting British troops and a business school in the East African nation. A state dinner hosted by President Kenyatta will conclude the trip. Theresa May is the first UK prime minister to visit Kenya in more than 30 years. Posted by Geraldine Boechat on August 28, 2018. Filed under News. You can follow any responses to this entry through the RSS 2.0. Both comments and pings are currently closed.